Bold and confident, the Montecito Round Glass Decanter brings an air of sophistication to your bar area. Its clear glass features a strong, classic silhouette topped by a sturdy lid. 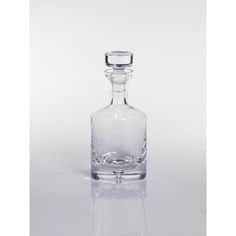 Whether for a dinner party, cocktail hour or simple night in, having a go-to decanter makes every home bar experience an elegant affair.